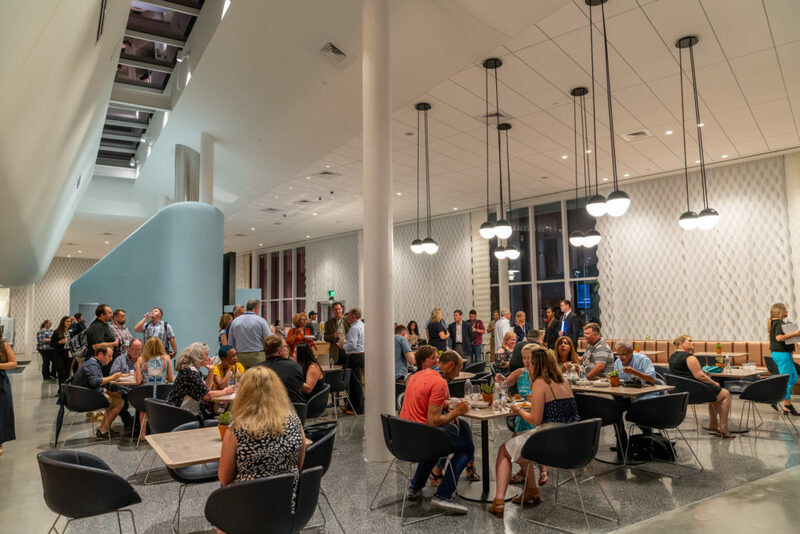 This page includes descriptions of the dining options, lounges, and pool bar available at Universal’s Aventura Hotel, one of two prime value on-site hotels at Universal Orlando Resort. Like Cabana Bay Beach Resort, Aventura Hotel doesn’t feature any full-service restaurants – in order to play up the value part of the prime value category, it forgoes such amenities. However, don’t for a second let that fool you into thinking that the resort’s culinary lineup is somehow subpar or otherwise forgettable. 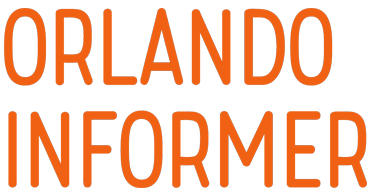 Universal and Loews have bent over backwards to install fresh, original alternatives on the standard quick-service offerings, transforming the tried-and-true cafeteria offerings of pizza and burgers into sushi and roast-carving stations. (It doesn’t hurt that Aventura’s executive chef, Mouhssine Benhamacht, was born in Morocco and has expertise in Moroccan, Asian, French, and American cuisines.) 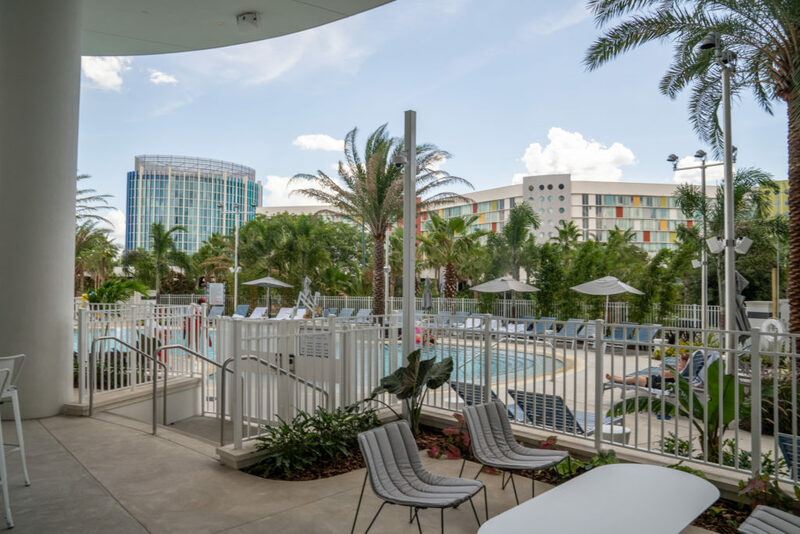 While we don’t necessarily believe that the hotel’s venues will become your favorites at Universal Orlando, we do expect you to be pleasantly surprised – and, perhaps, impressed. 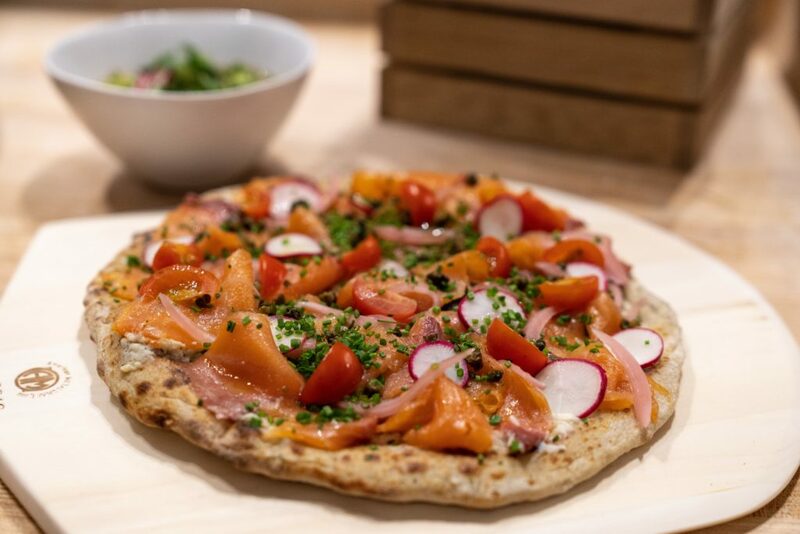 This modern food hall serves up diverse flavors, fresh ingredients, and globally-inspired dishes at four fast-casual stations: roast, pizza, wok, and burger. Urban Pantry serves breakfast, lunch, and dinner. For pictures, reviews, menus, and more information on the restaurant, click here. 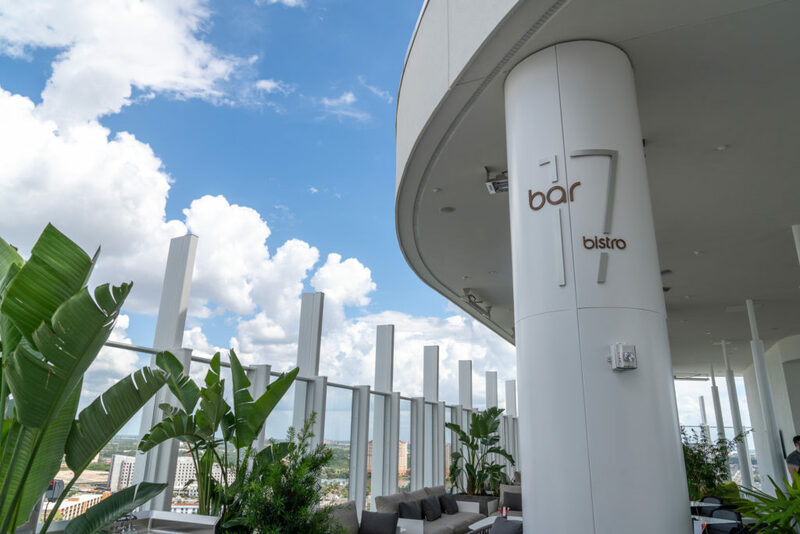 The real star of Aventura’s show is Bar 17 Bistro, the rooftop bar located – you guessed it – 17 stories up. Just as much gastronomical inventiveness was directed here as at Urban Pantry, resulting in some spectacular drinks and intriguing small plates. 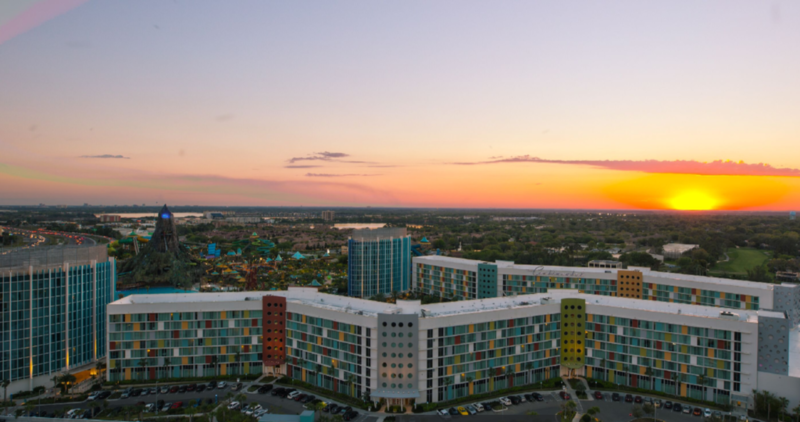 When combined with the unparalleled views of Universal and the city of Orlando both, this should make for one of the resort’s most memorable experiences. Bar 17 Bistro serves snacks, dinner, and, of course, drinks nightly. For pictures, reviews, menus, and more information, click here. 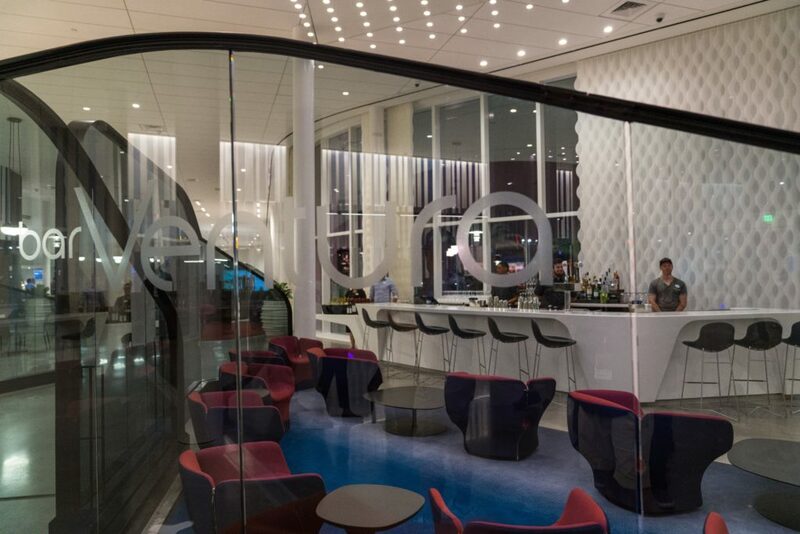 Aventura Hotel’s lobby bar is sleek, open, and spacious, and it serves up cocktails and beers that are both familiar and unusual every night. For pictures, reviews, menus, and more information on Bar Ventura, click here. 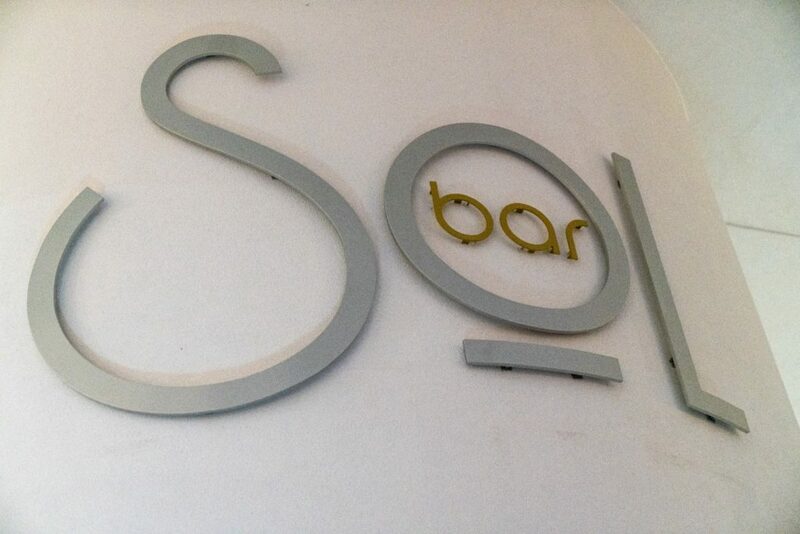 Aventura’s inventive streak continues even with its pool-side bar, Bar Sol. This venue has a variety of Latin-themed drinks on tap, making your stay at the pool or by the fire pit pitch-perfect. 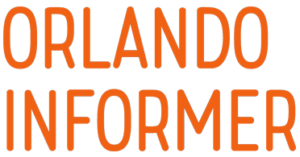 For pictures, reviews, menus, and more, click here. 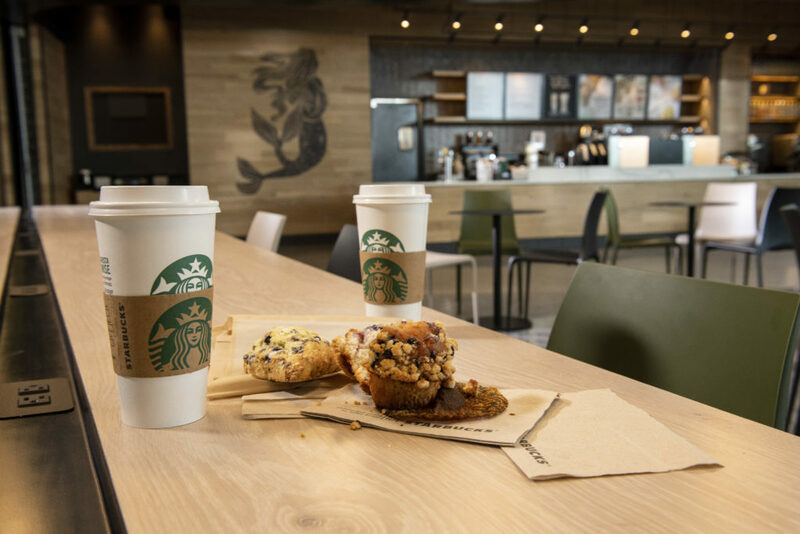 It wouldn’t be a Universal hotel without Starbucks, right? (Sorry, Sapphire Falls Resort.) Much like its sister venue over at Cabana Bay Beach Resort, this one has been given a theming makeover, making it more consistent with its home location – which, in this case, means it’s sleek and minimalist. 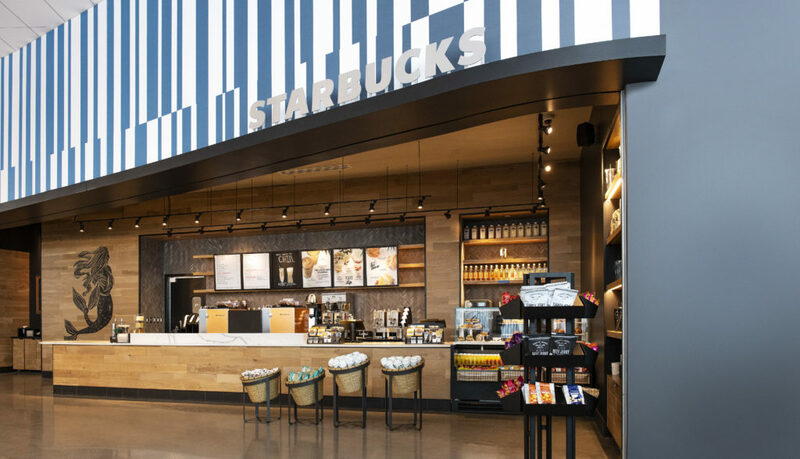 Starbucks is located in the lobby.